Why do people print custom tshirts? For the young, they usually do T-Shirt printing for class tees and class events. For the working adults, they usually print custom tshirts for company events, as a uniform, for personal events like weddings, or even design their own T-Shirt prints as a way of self-expression. The first thing that comes to mind when looking for custom tshirts printing company in Singapore is almost always, cost. How much is it going to cost me? What is the ball park figure? To answer these questions, we need to look at a few factors. Is quality of the tee-shirt important to you? Is this a uniform that you will be wearing every day? Is this a class Tee that you will want to wear multiple times and even keep it for a long time as a keepsake? Or is this simply a Tee-shirt that you are printing for a single event, for example, a wedding and you never intend to wear it again? 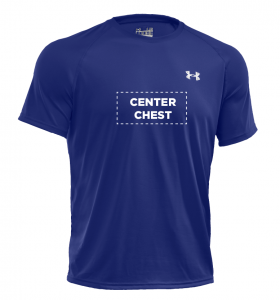 There are three main categories of custom tshirts: unbranded and usually cheap tee-shirts, branded tee-shirts of standard quality (for example, Gildan) and branded tee-shirts of superior quality (for example Adidas Singapore training tees and Under Armour Singapore Locker tees). What is the difference when getting an unbranded and cheap tee versus a branded tee? After all, isn’t it better to simply always choose the lowest cost? As a Tee Shirt printing company in Singapore, what do we think? Common issues in unbranded tees are irregularities in sizing; the label indicates size S but the actual piece could have large variations in sizing from XS to M. The Tee-shirts could have variations in colour; shirts made from different batches have slightly different colour. The colour of the Tee-shirts could run in the washing machine and stain your other clothes, and the collar of the Tee-shirt will fray and bend after washing. Is it worth getting an unbranded tee? If budget is the only concern, and the tee-shirt is meant as a one-time use, and the wearers are not particular about sizing, this could be an option. If cost is not the biggest issue, but cost savings is still preferred, you can choose a reputable company like Gildan, where the sizing and the colours will not be a big issue. If you have a bigger budget, superior branded apparel like Under Amour Singapore Tees and adidas Singapore Tees is the answer for you. Why? Because a superior branded apparel is a piece of garment that you will keep wearing again and again, bringing the cost per wear low, as compared to a piece of garment that you will only wear once. Also, a superior branded apparel comes with superior fabric: some fabrics keep you cool and dry, some are simply soft and luxurious, and they will not get bent out of shape or discolour in the washer. A superior branded apparel makes more sense in terms of looking good, feeling good and being good on your pocket in the long run. Is quality of the print important to you? What message are you putting on your Tee-Shirts? Is it simply to show a company logo? Is it to show off a design? Is it showing a message? How clear do you want the print to be? How fine should the lines be? What type of printing is suitable for you? If the cost of the print is of utmost importance to you, the cheapest option will be a single colour print, using silkscreen method (usually recommend for 40 pieces and above). If budget is not of utmost important, you can choose up to 5 colour for silkscreen printing to create a complete picture with gradients. If you want super clarity in details, you can even opt for digital print or reverse silk screen, which will be able to showcase fine details. If you want something special, you can choose Vinyl and Reflective (shiny prints which will help to reflect light, as featured on sportswear, suitable for running in the dark). Where do you want your prints to appear on your tee-shirts? Do you want your prints on the custom tshirts to be big and covering the whole front, back and sleeves of your tee-shirts? Or are you simply getting a small logo printed on your right chest? The smaller the print and the lesser the locations, the cheaper it will be. For example, if you have a different design on the back, the front and the sleeves and you are choosing silkscreen methods, our T-shirt printing specialists will need to do up 3 silkscreen templates, 1 for each design. If your design is large, there will be more raw materials used in terms of ink. For digitally printed tee-shirts, the ink cartridges and consumables are very expensive (much like our laser printers at home/in the office), hence the larger the print surface, the costlier it will be. Is service important to you? Service is more than a smile. To us, service means professional advice, expertise and help. Do you already have a logo, but it is not in Adobe Illustator format? Do you already have a design but you are not sure how it will translate on print? Or do you actually not have any design at all, and you are just in the ideation phrase? Besides custom tshirts printing services, some companies have in house designers whom can help to refine your design and make it print ready. Some companies can provide you with a print sample before the actual print. Some companies can provide samples for you to show your company and different sizing samples so that your colleagues can decide on their preferred sizing. Service means doing everything we can to make sure everything goes exactly as you wish. If you do not need any service, there are companies operating purely online where you can simply upload a design, choose a shirt colour and press print. The cost of such printing might be lower than a company focusing on service to ensure that everything is up to expectations. What is the quantity that you are printing? Are you printing only a couple of custom tshirts? Or are you printing 50 or 100 tee-shirts? The quantity of Tee-shirts printing will largely affect the cost because the printing technology applied will be different. For example, if you are only printing a couple of tee-shirts, we can only use digital printing (works like a home printer). If you are printing 50 pieces, we can use Silk Screen printing (traditional printing process with a template) that will greatly reduce the cost. In the Singapore market, it is possible to order custom tshirts with prints from as low as $10, if you are purchasing high quantities (50s and above) with single colour silkscreen printing, on non-branded apparel. If you are buying a couple of branded standard pieces (Gildan), the price ranges from S$18 onwards. For branded apparel like Under armour tees and Adidas Tees, the price ranges from S$30 onwards. When deciding on which custom tshirts printing company in Singapore to go for, remember to talk to a couple of companies to get a feel of what they can do for you and their recommendations. We recommend working with a trusted company with a great team such that every possible problem has been anticipated, and your printing jobs with go without a hitch. Do contact us at +65 63520988 or find out more about prices by sending us a message below!